Made in the USA. Great for dining areas or pool tables. This oval chandelier measures 32" long, 25" wide and 14" tall, weighs just 10 lbs. Chandelier has 3 center downlights. All wiring is internal. Entire fixture UL listed/approved. 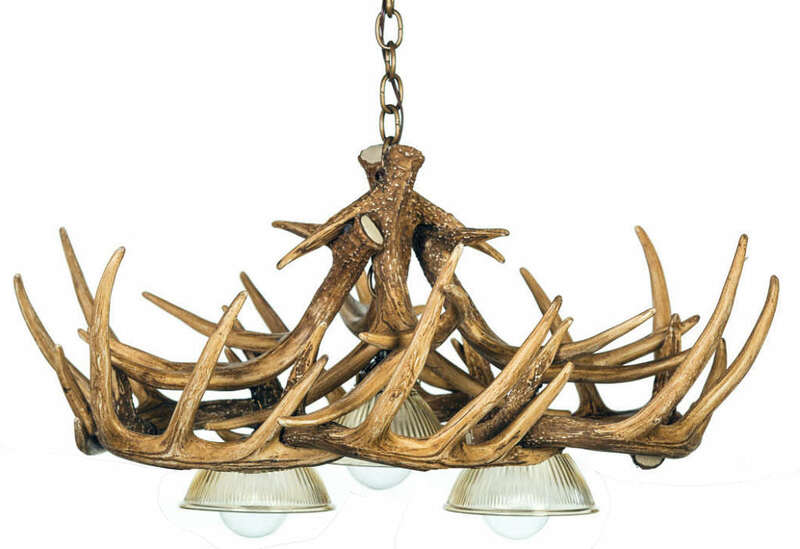 Each antler is a professionally handcrafted reproduction. Made from medium-density polyethylene that is light weight but as durable as the real thing, each antler is individually hand-stained and rubbed to look 100% authentic. They require three 60-watt bulbs. Chandeliers come standard with 3' of heavy duty chain, multiple colors available. Ceiling plate and mounting hardware included.